As you receive and read this month’s Bulletin, which our Editor has diligently prepared for you, I will be enjoying the splendour of the Tasmanian North-West region as I take part in the 2016 National Veteran Rally. As it turns out there will actually be a number of VCC-SA vehicles taking part, so it’s great to see the effort of these members as they actively support the Veteran car movement on a national stage. Keeping a positive high level profile for our vehicles and our club in the wider community is a significant and ongoing advocacy strategy we must employ to ensure a place remains for us to continue to enjoy our vehicles on the roads without onerous restrictions and limitations. Have you ever thought what your vehicle might be worth if it was never allowed to drive on the open road again? What would this mean for our movement and for our national rallies? Getting our vehicles out and about is the only way we can maintain a future for them. With this in mind, why not make the effort to get your veteran out this weekend and enjoy it! Better still, have you entered the 2017 National Veteran Rally in Clare (http://vccsa.org.au/events-2/national-veteran-vehicle-rally-clare-2017/). There are 71 entries so far, so it’s looking like a solid field of vehicles from across Australia. There has been a great response from members willing to share details and images of their restoration projects. This month’s Gathering will feature a few of these projects (plus a few international projects you may not be aware of). 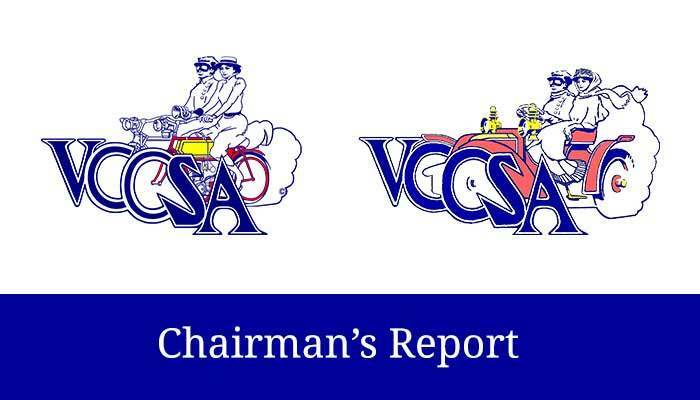 The Bulletin this month also makes this restoration theme a focus and features a growing list of vehicles undergoing restoration by club members which we can add to the collective VCC-SA stable! If you would like to share your secret restoration project at a further Gathering, please let a member of the Committee know so you can be included in this list. Looking forward to next month’s Gathering, we have our end of year celebration and invite to you come along for a more social time. We ask if you could bring along a plate of nibbles or alike to share with those present. We will also show some footage of the London to Brighton Down Under event and the National Veteran Rally in the background.